Penticton, BC: The Penticton Vees (10-6-2) pulled off a miraculous third-period comeback against the Merritt Centennials Friday night, putting them back in the win column heading into their only trip to the Rolling Mix Concrete Arena against the Prince George Spruce Kings (13-6-1). 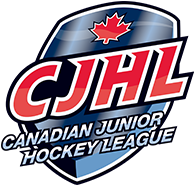 Last night, the Vees trailed 1-0 and 2-1 after the opening two periods of play before the Centennials jumped out to a 3-1 lead early in the second period. Penticton never quit, and a power-play goal by James Miller cut the Merritt lead to one with 8:24 to play. With continued pressure, Eric Linell tied the game just over four minutes later sending the game to overtime. Despite both teams having grade A chances in extra time, neither could find the back of the net as the game had to be decided by a shootout. After Massimo Rizzo and Matthew Kopperud were denied as the first shooters, Cassidy Bowes gave the Vees the lead in the shootout with a backhand under Vincent Duplessis. Mathieu Gosselin then hit the post and Conner Hutchison finished off the win, beating Duplessis with a wrist shot past the blocker. Prince George was also in action last night, hosting and defeating the Alberni Valley Bulldogs 2-1. Prince George outshot Alberni 45-19, with the game-winning goal coming 4:53 into the third period. 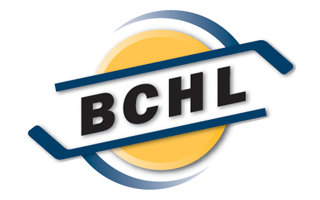 Penticton has matched up against Prince George once already this season, a 3-2 loss at the Bauer BCHL Showcase. That game the Vees had a 2-1 lead in the third period before the Spruce Kings scored twice just 16 seconds apart to take the win. The season series won’t finish until January 18 when the Vees host the Spruce Kings at the SOEC. The Vees have won their last four games in Prince George.